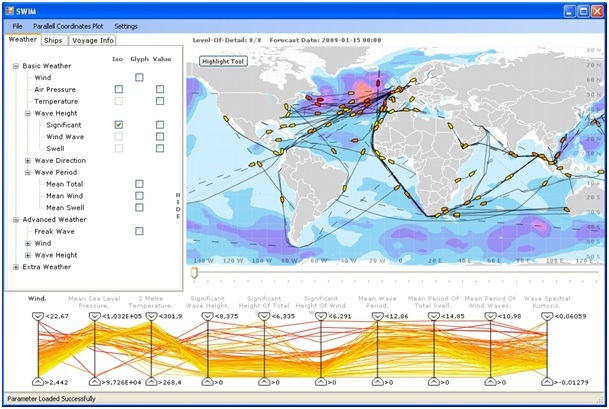 • Detailed monitoring of voyages based on planned and reported waypoints. • Easy exploration of weather forecast according to both geographic positions and along routes. • Using a PCP together with geographic map visualization to find interesting voyages according to weather parameters. Lundblad P, Eurenius O, Heldring T, ”Interactive Visualization of Weather and Ship Data,” reviewed proceedings in IEEE Information Visualization Conference IV09, Barcelona 2009.